Enjoy New Year at Meijiza ! 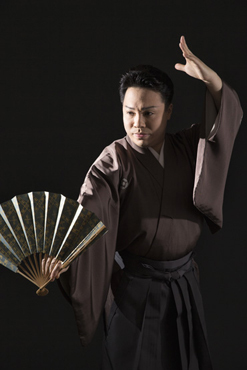 Kanjuro FUJIMA and Karoku YANAGIYA present a new form of traditional arts entertainment. The only chance to experience the new dance pieces, one entitled "Hachigome (Eighth station of the mountain)" based on one of the symbols of Japanese beauty, Mt.Fuji(FUJIYAMA), and a traditional dance/sword fight combination entitled "Yamato Takeru Tsurugi no Isaoshi". 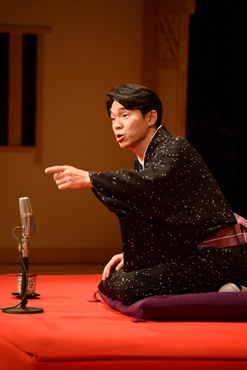 Kanjuro FUJIMA introduces a star-studded cast	for this performance, while Karoku YANAGIYA will present a new Rakugo (tradition of comic storytelling) performance on the theme of the New Year. Yaji and Kita, characters	from the 19th century comic novel Tokai Dochu Hizakurige, present the show in a way that makes it easy to understand. There will be an "experience area" in the theater, featuring lion dance and other New Year traditions. Please see the special website. You can buy a day ticket at the entrance hall from 12pm.